If anyone registers his/her email address, he or she will receive the email of notification when new paper is published in the web site of JSM. Since it is open access journal, the full text is freely available. “Most Read” Articles are updated quarterly. 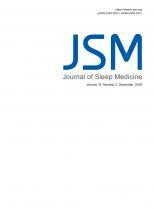 Below are J Sleep Med’s most frequently downloaded articles for the previous three months.